We sell the full line of aFe Power products. Please contact us to inquire about specific applications or products not listed on our website. For more than 60 years, Aeroquip® Performance Products has been the number one choice of racing enthusiasts around the world. Aeroquip AQP inner tube used in the majority of our performance hoses is scientifically superior—allowing fluid and ambient temperatures of 300° F with no loss in performance and unmatched fluid compatibility. In 2001, Across successfully released a state-of-the-art line of carbon clutches to the automotive marketplace. Today, these continually evolving carbon clutches and carbon LSDs, under the brand name of CARBONETIC, are considered to be standard tuning gear in the automotive market, as they present appreciable benefits to the end user in performance, controllability and cost effectiveness. Following ongoing technological improvements and refinements, CARBONETIC offers a distinctive and diversified lineup of carbon composite products to the dedicated racing aficionado. From our initial Subaru focus, COBB Tuning has expanded its product offerings to BMW, Mazda, Mini, Mitsubishi and Nissan specializing in engine management electronics, intake tract components, turbocharged exhaust systems, turbo kits, drivetrain components and suspension components. We sell the full line of COBB Tuning products. Please contact us to inquire about specific applications or products not listed on our website. We sell the full line of CORSA Performance products and applications. Please contact us to inquire about specific applications or styles not listed on our website. Crower’s mission is to provide an engine application with its best solution. We strive to manufacture the highest quality engine components available for the automobile market. We believe customer service not only entails prompt delivery and courteous service, it embodies matching solutions to each and every engine configuration. 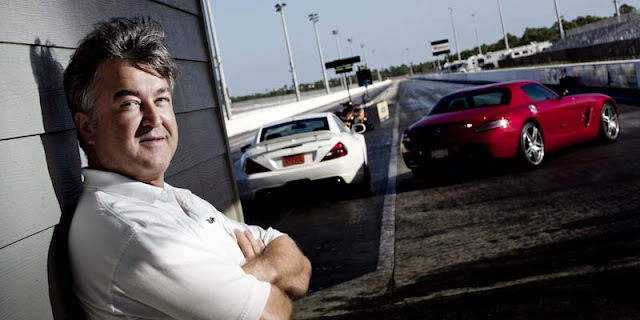 Working for over half a century, with casual enthusiasts to the hard-core drag racers, has given Crower immense experience in combining bottom and top end components. We commit to proper engine setup using the best materials and combinations while working with field experts and our own engineers. Although current markets have caused customer anxiety, Crower maintains and promises smart business decisions to match economic trends. Crower anticipated the current economy and is positioned to provide the best solutions for many years to come. Crower is dedicated to better our customer service and continue the product improvements that have made Crower a name to trust and believe in for the past 55 years. Founded in 2004, DeatschWerks, LLC is a company dedicated to providing application specific, high-performance fuel systems solutions. Located in Oklahoma City, Oklahoma, DW operates out of its own 12,000 sq. ft. facility that houses all of the company's functions including design/engineering, manufacturing, quality assurance, and administration. DeatschWerks' roots were established by offering high flow drop-in fitment fuel injectors for Nissan engines such as the popular SR20DET, VG30DETT, and VQ35DE. Soon thereafter, DW expanded to cover Subaru, Mitsubishi, and other popular sport compact makes. Today, the DeatschWerks line-up of fuel injectors includes over 250 applications and sizes that cover both Sport Compact and Modern Muscle applications. In 2010 DeatschWerks entered new territory when they released the DW300-series in-tank fuel pump. Adhering to their philosophy of application specific solutions, the DW301 fuel pump is available with fitment kits for over 30 popular applications. We sell the full line of DeatschWerks products. Please contact us to inquire about specific applications or products not listed on our website. EXEDY is the clutch specialist and powertrain supplier to the automotive industry worldwide. EXEDY products range from manual and automatic transmission clutches to torque converter. As a transmission systems manufacturer we are responsible for the concept, development, and wider application production and aftermarket. EXEDY has 34 group companies covering 18 countries. EXEDY has evolved through developing and patenting the core technologies such as friction vibration and fluid technology/ EXEDY products have been recognized by vehicle manufacturers all over the world. As a premium brand in Japan, EXEDY products are valued so highly that our clutches are renowned all over the world by car manufacturers. EXEDY continues to hold a large share of the OEM market both domestically and internationally. We sell the full line of EXEDY products and applications. Please contact us to inquire about specific applications or products not listed on our website. With FAL fans you get all the advantages of an electric engine-cooling fan-quicker warm-up, quicker cool-down, additional horsepower and torque, and quieter operation (AND you get the ease of a custom made installation). All the mounting hardware for these fans have been custom made to fit your particular vehicle-make and year. It just makes it that much easier to choose Flex-a-lite products. The best dampers on the market are manufactured in the U.S.A. by Horschel Motorsports, an ISO 9001:2008 certified facility. Horschel Motorsports is continuing the tradition that started in 1946, when the first viscous damper was invented. Over 4 million viscous dampers have been made for heavy duty diesel, drag car, stock car, street machine, race boat and other high performance engines. Looking into the future, Horschel Motorsports promises to manufacture the best dampers available as well as engineering new solutions for developing engine technologies. GIAC is a software engineering company with 17 years experience tuning cars. We are known for creating "factory smooth" performance software with exceptional power and reliability. Our software replaces the standard software in your car’s engine control unit. It is programmed to adjust ignition timing, fuel delivery, fuel metering, boost settings, rev limiters, and/or speed limiters to optimize performance and, in some applications, fuel economy. Performance-tuned programs are designed to dramatically increase torque and HP without sacrificing smooth drivability. Many programs are also created to accommodate numerous after market performance modifications. Injen Technology has made it a point to stay at the forefront of performance technology making only the best air intake system one can envision. In 1999 Injen was faced with such a strong demand in both US and Canada that in order to meet production schedules it became essential to branch out and add a second building. With such an enthusiastic response for our new products, we anticipate solid sales growth within all market segments. Our innovative designs, high performance standards and quality workmanship will pave the way for our continued success for years to come. At Injen Technology we are committed to World Class Customer Service and unsurpassed quality and performance. We sell the full line of Injen products and applications. Please contact us to inquire about specific applications or products not listed on our website. We sell the full line of InnovateProDesign (IPD) Plenums applications and products. Please contact us to inquire about specific applications or styles not listed on our website. Invidia is a company based out of California specializing in high performance stainless exhausts. Having excellent quality in their materials, craftsmanship, designs, and welds, Invidia's finished products are like works of art. We sell the full line of Invidia Exhaust products. We sell the full line of K&N Engineering products and applications. Please contact us to inquire about specific applications or styles not listed on our website. We sell the full line of Koyorad products and applications. Please contact us to inquire about specific applications or styles not listed on our website. Since 1976, Magnecor has been a manufacturer and supplier of ignition wires used for competition, street, industrial and military applications. Magnecor is able to provide a spark plug wire set and individual wires for almost every engine ever made using a variety of technically advanced long-service-life ignition cables. Mishimoto Automotive is the leading manufacturer of aftermarket performance cooling products. Their company was established in April of 2003 with the goal of providing customers with quality cooling system upgrades suited for track cars and daily drivers alike. Their staff of automotive enthusiasts work hard to consistently produce high-quality products and provide excellent customer service. NTK Oxygen Sensors is the world’s largest supplier and manufacturer of original equipment oxygen sensors. NTK Oxygen Sensors brings our expertise and innovation to the aftermarket providing oxygen sensors with superior fit, form and function. When you require the best, count on NTK Oxygen Sensors to deliver. Over 30 years ago S&B Filters started with a simple mission: "to become a manufacturer of the most technically advanced high performance filter on the market". Our commitment to the race community allowed us to develop products that featured incredibly high efficiency ratings and tremendously low airflow restriction. We busted knuckles with the best engine builders of the day to deliver a product that supplied what they were craving: a filter that delivered performance advantages without sacrificing engine protection. We succeeded by keeping our production capabilities on the front-edge of technology, and never, ever wavering from our goal of producing a high performance air filter that tests better than any other manufacturer. And even today, we are pushing the other manufacturers to test to our standards. Exceptional design, leading-edge manufacturing and a commitment to thorough research and development has allowed us to make several advancements within the high performance category. We sell the full line of Volant products and applications. Please contact us to inquire about specific applications not listed on our website. ZEX™ is at the forefront of nitrous technology with its innovative wet nitrous system. The ZEX™ system incorporates the most technically advanced performance features available, including the patented ZEX™ Active Fuel Control™. This innovative performance and safety feature automatically adjusts the nitrous fuel enrichment so your engine never runs too rich or too lean. In addition, the ZEX™ nitrous system features a patented electronic TPS switch for perfect system activation at wide-open throttle. All the kit’s primary components, like the solenoids, filters, and activation electronics, come factory pre-assembled inside an enclosure called the Nitrous.